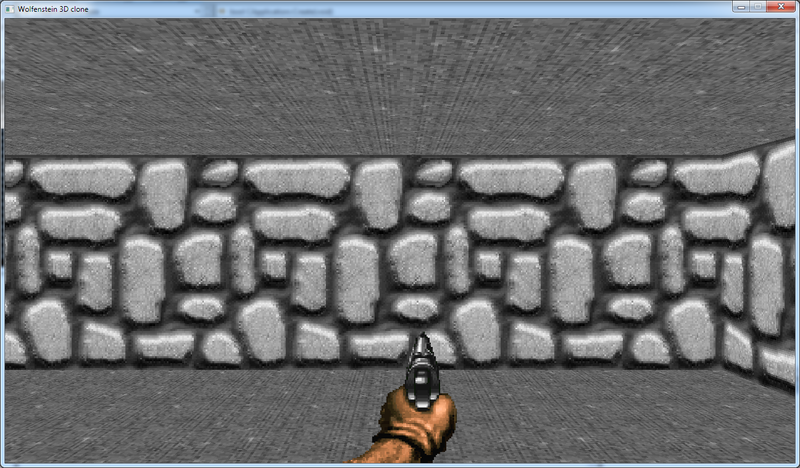 I'm having a bit of an issue when it comes to 3D- and 2D camera(s), in relation to a game's window resolution. I want to let the player choose from different window resolutions, either from a menu or by just resizing the window by dragging the window border, and can't get the scaling of the graphics to work properly. In games I've played, I can go into the options menu, choose a screen resolution and then the window resize itself and the graphic's, menu buttons etc just scales up to the correct sizes. At the moment, I've tried two different window resolutions; 800x600 and 1280x720 (don't mind the different aspect ratios). As you can see, more of the game world can be seen (more stone tiles can be seen, if that makes sense) in the window with a resolution of 1280x720 and I want my 3D/2D game(s) to be resolution independent and that the same amount of the game world to be seen, independent of what window resolution the player chooses to use. At each update, I'm also setting the viewport by calling glViewport(0, 0, CameraWidth, CameraHeight). 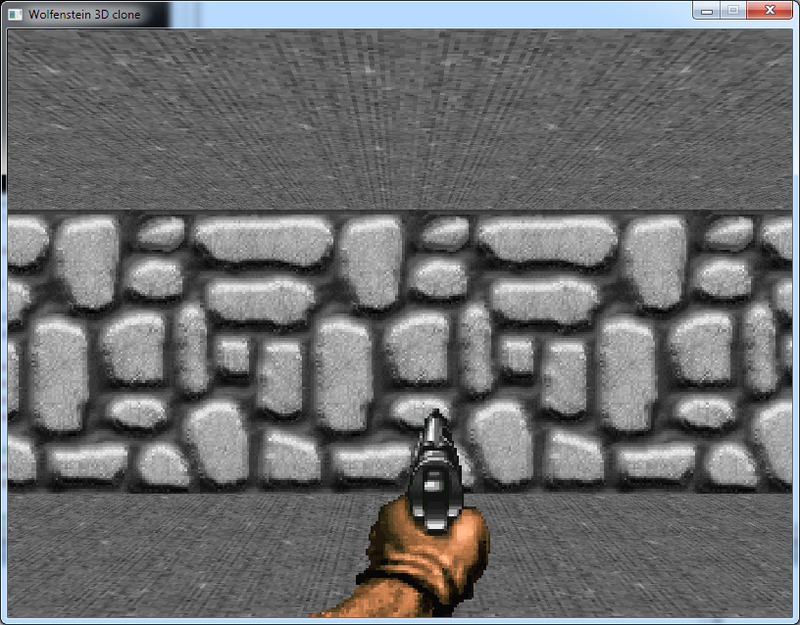 This might change in the future if I decide to make two cameras in a game, for a splitscreen game for example. How can I solve the window resolution independence issue? I have though about creating a framebuffer the size I want, attach it to a quad and then render the quad the size of the window, which will scale up/down the framebuffer if the window is bigger/smaller than the framebuffer's original size, but if it's an easier way of doing it, I would gladly use that instead. But that's the problem. If you use 2 windows with different sizes but the same aspect ratio you won't see this problem. It looks like you're using the Field of View to represent the vertical field of view. As you can see, the vertical fields are the same. You see the same amount of ceiling and floor in both windows. But because the windows are different aspect ratios, that necessarily means that there will be a different field of view horizontally. Use the field of view to represent the horizontal FOV instead of vertical. This will mean you get the same number of bricks horizontally, but will change the vertical view so in one case you see more ceiling and floor than the other. Stretch things to fit the different aspect ratios - this will distort things but will give you the same horizontal and vertical fields of view in both cases. It is ugly and drives some users (like me) nuts. I don't recommend it. Limit your various resolutions to the same aspect ratio. Some users will dislike this because "you're not using the full screen." Leave it like it is now. This is what most games do, as far as I can tell. (Well this or #1 which has the same issue in reverse.) I've not heard many users complain about this because they don't often change screen aspect ratios over the course of playing a game (even between sessions). Not the answer you're looking for? Browse other questions tagged opengl 3d camera viewport aspect-ratio or ask your own question. How to match font size with screen resolution? How can I prevent the viewport from stretching/distorting? How do you create images that work for multiple resolutions?